3 lumens of strong white light. Fits in every pocket. Also easy to detect by its shape. A cult object, talisman and beautiful gift: The '64 Beetle or the '62 T1 VW camper as a key ring light. More than 50 years on the road – and still as popular as before. 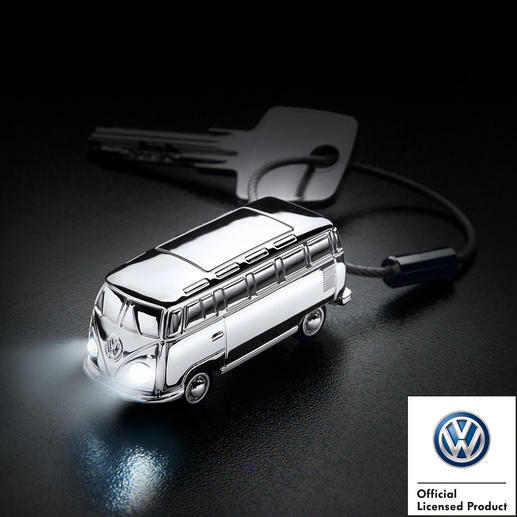 Now you can always carry the cult Beetle with you: In the form of a faithful, miniature illuminating key ring light, officially licensed by VW. Whether you‘re dealing with dark stairs, a poorly visible door lock or lost coins, briefly push the button on the underside of the Beetle and two intensely bright white LED bulbs will immediately light up the darkness. Beetle: Size 5.5 x 1.8 x 1.5cm (2.2" x 0.7" x 0.6") (W x L x H), total weight 28g (1.0 oz). VW Camper: Size 5.5 x 2 x 2cm (2.2" x 0.8" x 0.8") (W x L x H), total weight 45g (1.6 oz). Key ring made from 2mm cable wire with sturdy screw closure. 5cm (2") diameter. Total weight 28g (1.0 oz). Battery: 4 x button cell L621F, Alkaline (supplied) for about 50 hours of light. 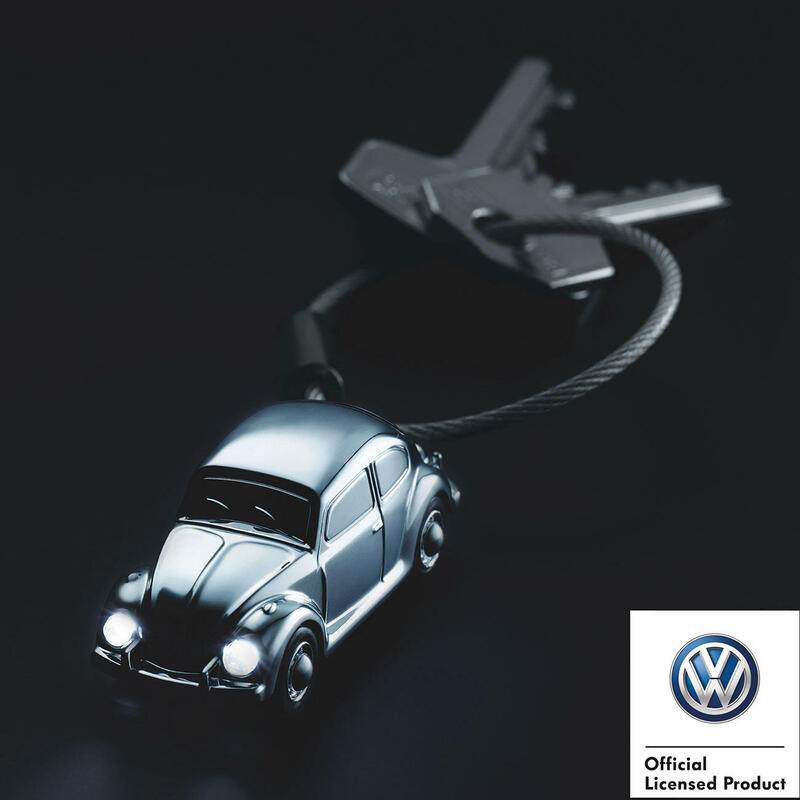 My daughter-in-law has got a new Beetle car so we bought her the keyring to go with it. She was highly delighted.